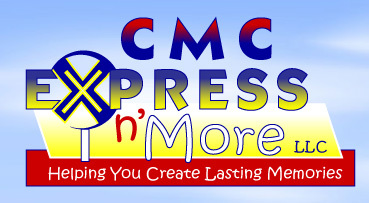 Welcome to Triple "A" Express n' More, LLC, formerly, CMC Express n’ More, LLC. We’re here to bring excitement and joy to your next event. We are a family owned business located in Pittsburgh, PA and are proud to serve all of Western Pennsylvania. Here, at Triple "A" Express n' More LLC, we stand by our excellent performance of supplying you with affordable, clean and top of the line equipment. Our equipment is state certified and fully insured to make your event as safe and enjoyable as it can be. 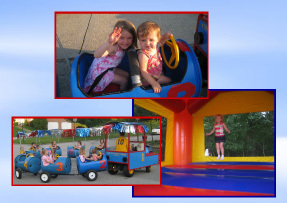 Timothy our Trackless Train is here to create lasting memories for your party. We dedicate ourselves to many different events such as birthday parties, company picnics, church festivals, corporate events, grand openings, daycares, block parties, reunions, weddings, graduation parties, fundraisers, and even a wonderful family party in your backyard. We are here to assist you in making your event as magical as it can be. We can’t wait to here from you and look forward to bringing one of these exciting rentals to your special occasion! Please check out our facebook page for both Triple "A" Express n' More, LLC, and A & A Novelties, LLC.